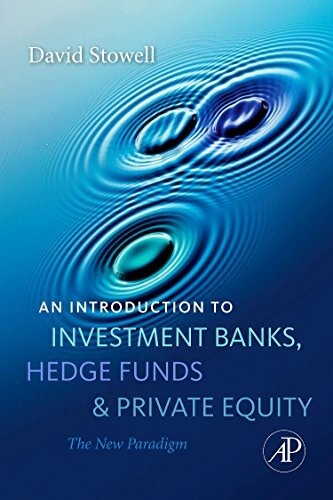 [PDF] An Introduction to Investment Banks, Hedge Funds, and Private Equity: The New Paradigm | Free eBooks Download - EBOOKEE! Description: Product Description: This description of the symbiotic relationships among investment banks, hedge funds, and private equity firms shows students how firms simultaneously compete and cooperate. The author has captured the ways these firms are reinventing themselves in the post-crash regulatory environment and, through ten extensive cases, the ways in which they are increasing their power and influence. * Emphasizes the needs for capital, sources of capital, and the process of getting capital to those who need it. * Integrates into the chapters ten cases about recent transactions, along with case notes and questions * Accompanies cases with spreadsheets for readers to create their own analytical frameworks and consider choices and opportunities. No comments for "[PDF] An Introduction to Investment Banks, Hedge Funds, and Private Equity: The New Paradigm".